From 2012-2016 Dr. Paterna served as the President of the CT Chiropractic Council, a position in which he was elected by his peers. He is regarded as a leader in the profession by his colleagues. Hundreds of chiropractors have shadowed and studied under Dr. Paterna and his dedicated team because of their gentle and focused approach to health care. While in chiropractic school, Dr. Paterna originally intended to specialize in sports chiropractic. Once he began to visit chiropractic offices, however, he realized that his profession gave him the opportunity to help people from every walk of life, not just athletes. Dr. Paterna became convinced that the best chance of living a healthy life clearly begins with gentle pediatric chiropractic care. Getting kids off to a great start through optimal spinal alignment benefits the entire family, from moms, dads and budding athletes to grandparents, teenagers and newborns. In 2012 Dr. Paterna was voted by his colleagues to represent chiropractic as the President of the CT Chiropractic Council. 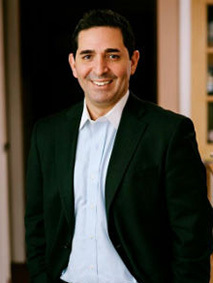 Dr. Paterna served two terms as President and is currently the immediate past president of the Connecticut State Chiropractic Council (CCC). Currently Dr. Paterna holds the position of chairman of the board and is actively involved in lobbying for chiropractic coverage for all Connecticut residents. He’s additionally completed postgraduate courses in pediatric chiropractic and neurology. Dr. Paterna has also been the team chiropractor for two professional baseball organizations and enjoys volunteering his time by mentoring young chiropractors and chiropractic students. Nationally, Dr. Paterna has been a featured speaker for numerous conferences and conventions, as he feels it is his duty to give back to the profession that has given so much to him. 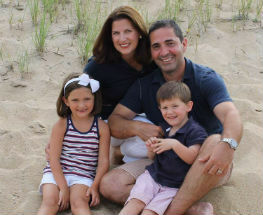 Dr. Paterna is happily married to Courtney, and they’re the proud parents of Madelyn and Miles, two dogs and four cats. They love spending time together as a family, skiing, traveling and volunteering. When he’s not helping patients, Dr. Paterna enjoys being in the outdoors playing golf, tennis and softball. He and his wife also support Girl Scouts and Boy Scouts of America, as well as area Little League teams.